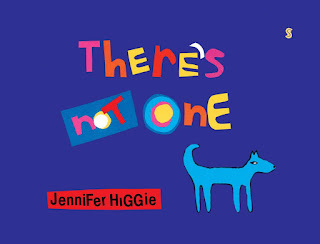 There is never one dog, no no. There are lots. And there's never just one baked bean. There are (at the very least) about a zillion. And when it comes to colour--well, it's unlimited. AND it's everywhere. The wonderful thing about children is that they inherently know and see the world in ways much bigger than adults. An irony, because they are so physically small. In this bright book about the expanses of the world and the unlimited nature of life and understanding, kids will fall in and feel so comfortable. As though they are home. They will also love the vibrantly-coloured illustrations and typography--least of all for its delightful childlike naivety--but also for its pleasing design elements (I've always said children's books need to be high on design, if not more so, than adult books). A simple concept, beautifully done, and one that will appeal to even the tiniest tot.